Welcome to Activity Universe, our School’s Breakfast and After School Club. The school does not currently offer a Holiday Club. parents alike and has gone from strength to strength. In 2012 we expanded our provision to open a Breakfast Club. Currently we can offer places for a maximum of 33 children at each session. alternative provision for your children. breakfast or a tea‐time snack to those children attending. is open from 7:40am to 8:50am daily during term time. As the children arrive they are offered breakfast from a varied choice, such as bagels, fruit, beans on toast and a wide selection of cereals. The children also have the opportunity to play indoors or outside. sharing in the responsibility of helping with the clearing away and joining in with activities. At the end of the session the older children make their way to class. Children in Reception, Year One and Year Two are escorted to their classroom. The cost of the club is £4.00 per day. If a child arrives after 8.20am, the cost is £2.50 per session, but no breakfast is offered as the kitchen is closed at that time. is open from 3.25pm to 6pm daily, during term time. The children arrive at the club and sit down together for register, a snack and sharing time. Once everyone has finished their snack children take part in a wide range of activities. Weather permitting, the children can play outdoors. The cost of the After-School Club is £8.00 per session. We also offer a short session until 4pm, with no snack, at a cost of £2.50. Booking and payment can both be done through WisePay, the school’s online payment system. Any vouchers must be redeemed separately, by contacting the school office. 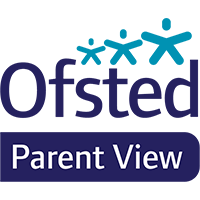 Children are very carefully supervised at all times and children/staff ratios are high. Safeguarding checks have been carried out on all staff. "I like this school because I love Maths because it’s really fun. - Alex"